Chris is here on Lake Atitlan, Guatemala. He is a long-term friend I met on the internet 8 years ago, I am showing him…. 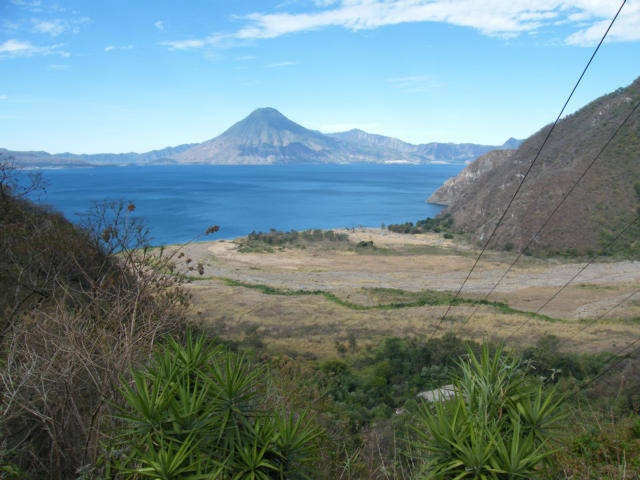 Look at the photo; this is Lago Atitlan, just not easy to paint words for, not an easy feeling to write. You ever see a Volcano? The power of Gods little finger. Warm days and cool nights, the climate here is as close to perfect I know on the third rock from the sun.